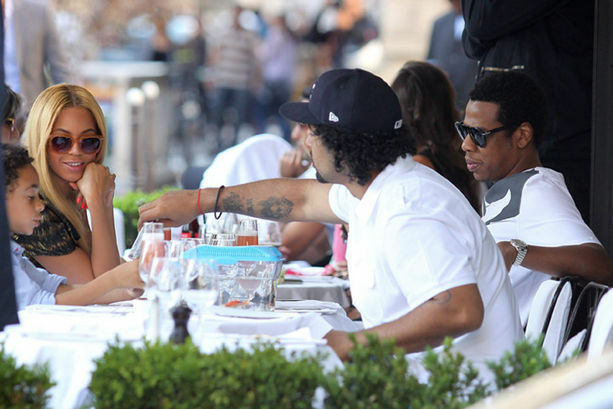 Jay & Bey landed in Paris on Monday!!! They adore little Julez (Solange's son) which is obvious.. he's always with them! Julez was there with his dad as well. 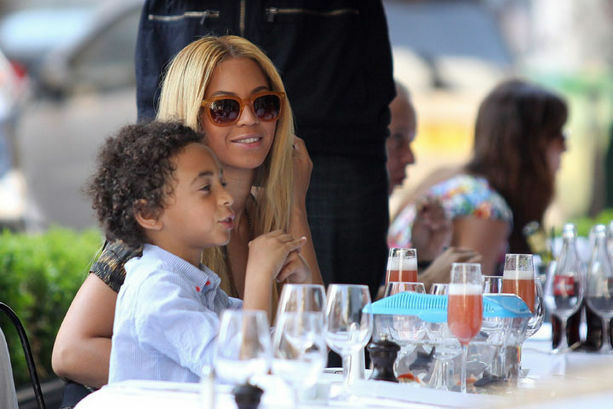 How cute are these pictures of Beyonce spending QT with her nephew! I LOVE my nieces and nephews so I totally understand how much fun she's having. 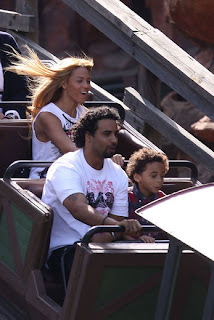 Can we pause tho to peep the shoe game... how else does Beyonce hit up an amusement park except in 6 inch heels?? LOL Lots more pics after the jump.. including Bey & Jay together..
Ahhh McQueen Fish Bone platform Sandals.. YES!